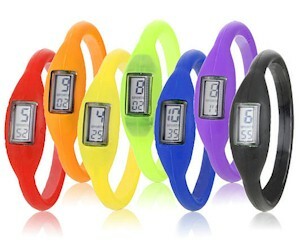 Get a silicone watch bangle for $1 (with free shipping) from 1SaleaDay. This makes for a nice little fun and inexpensive for-no-other-reason-than-I-love-you gift for your kids or nieces/nephs. This deal is available today (5/1/11) only, so hurry. Think clearly and live balanced. This watch is designed from environmentally friendly silicone rubber and natural mineral tourmaline, which is said to help with better sleep, less stress, clearer focus, and better concentration. Sporting a lightweight design for comfortable wearing, the watch is available in a random assortment of colors. Other great features include an easy-to-read digital time display and water resistance to 99 feet. From 4/27/11 through 5/6/11, Amazon is giving away one free PC game a day. 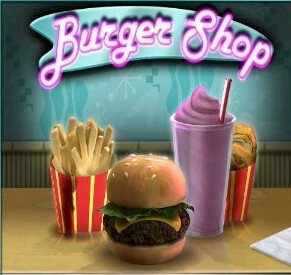 Today's game is Burger Shop (from GoBit). Get the full version for free here today only. These games usually run about $7 per download. I'll try to post the next seven free downloads each day next week. Amtrak is turning forty this year and to help celebrate, they are letting their youngest fans onboard for free. If you book one adult coach fare through 5/6/11 for travel between 5/1/11 and 6/9/11 (forty days) you will get one child's coach fare (children ages 2-15) for free. The child and adult must travel together at all times. Valid on all Amtrak services except the following routes: Acela Express, Downeaster, Capitol Corridor and 7000 - 8999 thruways. Here's another dog treat deal. 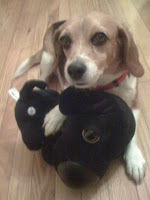 Save $1 on any one 4.8oz or larger package of Pup-Peroni dog snacks. Click here to get the coupon. 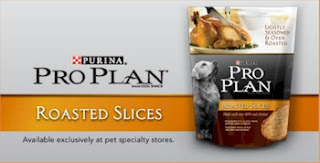 Get a free sample of Pro-Plan Roasted Slices dog treats. Go to the Pro-Plan Facebook page, like them and then fill out a short form to receive your free sample. Get a six pound pack of The Gluten Free Pantry's gluten-free all-purpose flour (a mix containing white rice flour, potato starch, tapioca starch, guar gum and salt) from Amazon for $2.62 per pound. 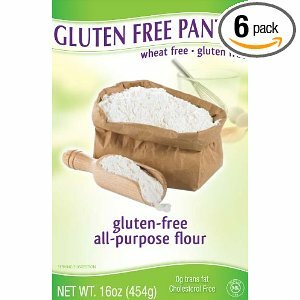 When you select the Subscribe and Save option on Amazon, you will get the six-pack of this gluten-free baking staple for a total of $15.67 with free shipping. You can always cancel any Subscribe and Save selection after you order the item. Remember, Amazon pricing changes with no warning and quickly, so grab this deal now! Get $1 off Tilex Mold & Mildew Remover or Tilex Mildew Root Penetrator & Remover. Click here for the coupon. Get $1 off of two bags of Food Should Taste Goods chips (5.5 oz and/or 6 oz. bags). Click here for the coupon. Get $5 off your purchase when you buy your Fandango tickets online, courtesy of Hewlett-Packard. Please not that this special discount is $5 off per purchase, not per ticket, so the best way to take advantage of this discount is to buy your tickets one at a time. 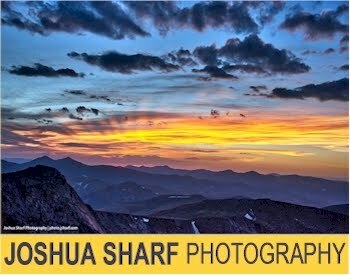 No promo code is needed, but you must click through this link to get the $5 discount. Adult tickets are generally $10.50 plus a service fee of $1.25, so with your $5 discount, you will pay $6.75 per adult ticket. Senior and child tickets are $7.50 plus a service fee of $1.25, so with your $5 discount, you will pay $3.75 per senior or child ticket. 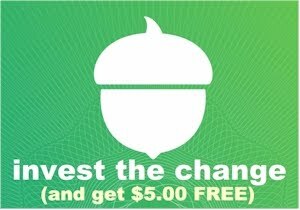 Click through this link to get your $5 discount. Think the only place that rising energy prices affect you is at the pump? Think again. "Procter & Gamble Co confirmed on Monday that it is raising prices on Pampers diapers and wipes, Bounty paper towels and Charmin toilet paper in the United States, as it faces soaring costs for energy and materials. The world's largest household products manufacturer said the average list price increases are 7 percent on Pampers diapers, 3 percent on Pampers wipes and 5 percent on both Bounty and Charmin paper goods. The list price increases were announced to retailers last week. Prices that shoppers see are ultimately set by stores. The latest moves come about a month after P&G announced plans to raise U.S. detergent prices 4.5 percent. Rival Kimberly-Clark Corp said on Monday that materials, energy and transportation are set to cost more than twice as much as it expected this year. It already announced price increases on Huggies diapers, wipes, training pants and some toilet paper in March." Click here for the Reuter's article. What this means to us, dear readers, is that couponing, sales, deals, stacking discounts, and stockpiling are going to become more important than ever, as we struggle to supply and support our families in the face of this still-horrible economy. Keep the faith though. That's what this blog is all about. 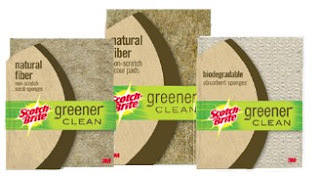 Print a $1/1 coupon for a Scotch-Brite Greener Clean product. Expires 5/31/11. Click here for the coupon. On entering the Rhodes giveaway: make sure you leave a comment! Lots of you are signing on to the Cheapskate email list as part of entering the Rhodes Bread Dough basket giveaway, and I'm so excited to be able to be in touch with more Cheapskate readers! I just want to remind you that if you want to be entered in the giveaway, you also need to comment on the post, letting me know that you've subscribed (and include your email address so that I can verify that you've joined the email list). I don't want any of you to miss out on the chance to win the basket. Because some of you have asked, here's a tip about leaving comments on this site. I know it can be a bit confusing, but the best choice for "Comment as..." is Name/URL. The URL part is completely optional, and this way, your name (first name only, if that's your preference) is connected to the comment. Good luck on the Rhodes giveaway! 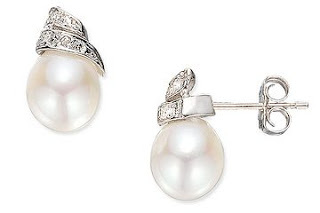 Once you're on the Ice.com website, add these beautiful pearl, diamond and gold earrings to your shopping cart. They are currently priced at $150. Use promo code SMTHR to get 25% off your order, lowering the price to $112.50. With your 15% cash back from Shop at Home, stacked with your promo code and free shipping, your grand total for these stunning earrings will be $95.63. Gleaming white gold and luminous rice pearls pair up for an elegant twist on the classic pearl earrings. Rice pearls are complemented by glistening diamond studded white gold settings. 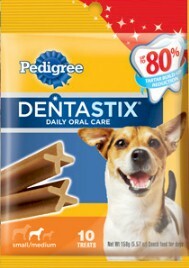 Get a $1 coupon off Pedigree's Dentastix. Click here. Get a free Gillette Fusion Proglide razor by visiting their Facebook page, agreeing to take the "Proglide challenge" and submitting their form. Hurry, these razor giveaways usually go very quickly. Stockpiling, that is, buying quantities of items that you can get for a very low price or for free, is a tricky business. It's hard to determine what items you can store, how to properly store them, and for how long. If you buy six bottles of a favorite name-brand barbecue sauce, normally $2.50 each, for $0.25 (they are on sale and you have stacked coupons), you have saved $13.50. If those six bottles of barbecue sauce go rancid because you've stored them in a hot, un-air-conditioned garage, or because they expired last year, you have wasted $1.50, plus the effort to clip the coupons, shop for the item, etc. Here's another good resource, this time on freezing and refrigerating foods. 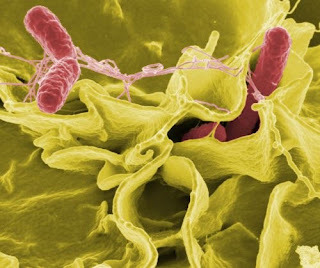 It's from Ziploc, and it's a handy two-page printout that summarizes some conclusions about the shelf-life of various foods from the Food and Drug Administration as well as the Federal Government's Food Safety site. I've printed it out and hung it up on the side of my fridge. Get 20% off any supply item (this excludes ink, toner, case paper, technology and consumer electronic products, accessories, media, and software products) at Office Depot. 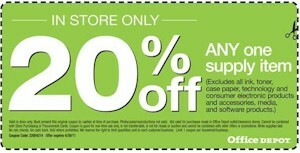 In-store only; expires 4/30/11. Click here for the printable coupon. 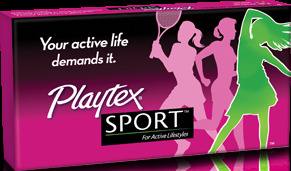 Get a free sample pack of Playtex Sport. Click here. 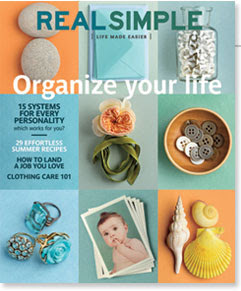 Take $1 off one issue of Real Simple magazine. Click here for the coupon. Real Simple is one of those publications that I enjoy reading very occasionally...not quite enough to subscribe, but every now and then, I'll pick up a copy. The coupon will definitely help! Get a free sample of Root Awakening from Walmart. Click here. Click on the gold "Tweet and get $6" button on this page. After completing these steps successfully, browse for a movie rental at the Amazon Instant Video Tribeca Film Festival store, select a title, and then click the "Rent" button. Although the price shown on the "Rent" button will not change, your credit will automatically be applied to your purchase. After your purchase, you can confirm that the credit was applied by checking your order confirmation, which will be sent to you by e-mail. Offer limited to one promotional credit per Amazon.com customer. Other restrictions apply. See more details here. Click here for your free Arm and Hammer toothpaste sample. They will send an email to the address that you provide and you'll need to click on a link in it in order to receive the sample. Uch, bugs! Summer is coming and there is nothing ruins a good outing faster than a swarm of those nasty bugs. 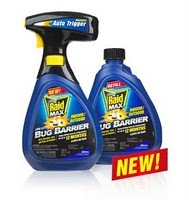 Here is a $3/1 coupon on Raid Max Bug Barrier Starter (64 oz. plus) and $1/1 coupon for a Raid Max Bug Barrier Refill. Click here for the coupons. Click here to browse the stores at this great cash back "sale" from Shop at Home. When you stack these incredibly high cash back rates with promo codes and coupons, you can score some major bargains. 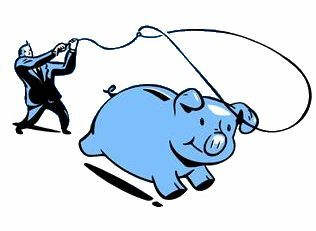 The greatest "crime" against frugality isn't overspending; it's wasting. Every year, I have leftover Passover goods that I can't put away for next year, either because they're perishable or open boxes/cannisters. No matter how well I plan, each year I always seem to be stuck with open boxes of the Three Ghosts of Passover Past: matzoh meal, cake meal and potato starch. So what do you do with this stuff? Here are some ideas on how to make use of those leftover items (and I'd greatly appreciate you sharing your ideas in the comments below!). I hate wasting food. Matzoh meal: I make "kneidlach" or matzoh balls year-round, especially in the winter. I've found the best recipe is the one right on the back of the Streit's box, but here's one if you don't already have a favorite. I also combine matzoh meal with basil, garlic powder, onion powder, sesame seeds, and paprika, and I store it in a glass jar, for an interesting twist on breading for chicken. Sometimes I use this mixture in combination with corn flake crumbs or bread crumbs. Cake meal: Passover cake meal is really very finely ground matzoh meal. You can use cake meal in nearly any recipe that calls for flour. I find that it doesn't work so well in regular baking, unless you want that particular "Passover taste" in your year-round pastries. I use it as a flour substitute in breading chicken, onion rings and crudite, and as a thickener in some stew recipes. As with matzoh meal, I sometimes combine it with flour. I've also used it as a meat extender in meatloaf, stuffed cabbage, and meatballs. Potato starch: You can easily swap in potato starch for any recipe that require corn starch. I primarily use it as a soup or gravy thickener. My Celiac/gluten-free friends swear by it as a great flour substitute in any year-round recipe. What other products did you "get stuck with" this year, and how are you planning on making use of them? Any other great ideas for the matzoh meal, cake meal and potato starch? Tylenol has a new product called Precise. It comes in an extra strength pain-relieving cream or heat patch. Now, when you fill out and submit the form here, you will be redirected to a page where you can print a coupon for $5 off any Precise product. Go to the Folger's Facebook page, like them, and then request their free sample. I requested this back in November, and it seems to have reset, so even if you've already sent away for this, try again. We just put away the last Passover pan and did the big "switcharoo" back to our regular kitchen stuff. Whew! What a wonderful holiday we had! Fantastic guests, interesting company at meals, non-stop food, great conversation, meaningful seders, all-in-all a beautiful holiday. 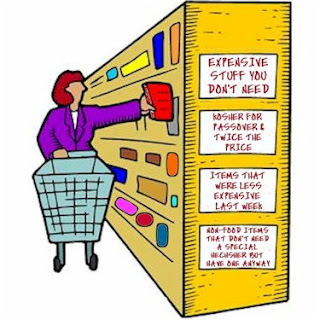 If you've followed my series on How to Shop for Passover on a Budget, here, here and here, guest posted on the wonderful superblogs, Kosher on a Budget and Orthonomics, you'll remember that making sure next year's Passover is a frugal one starts NOW. Here's what you can do this week to set the stage for next year. Get out your master list of Pesach supplies and make your final notes. I know this will slow down the packing-up some, but it will be well-worth it in the long run. Next year, you'll know instantly that you need more garlic powder, but have stockpiled three paprikas because they were on sale. Stockpile your Passover dry goods and cans carefully. Don't pack up any open boxes unless you have sealed them up very carefully and guarded against insects and other critters. There is nothing worse than opening up a box of potato starch and finding it crawling with ants! I highly recommend storing closed boxes of matzoh meal, cake meal and potato starch in the back of your garage/basement freezer, if you have the room. For information on what you can and cannot stockpile, visit StillTasty.com. Mark the year 2011 on things you bought this year with a sharpie, so you'll have an idea how old everything is, especially the cans. This week, the clearance sales start on Passover goods. Ask your friends to keep an eye out and let you know what specials they're seeing. It's a bit of a gamble, but if you wait just long enough, you'll see stockpile-able goods on sale for less than a dollar each....then strike while the iron is hot! Last year, I scored matzoh meal for $0.25 and bought a dozen boxes. 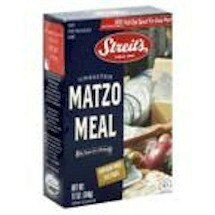 (I also use this during the year to make matzoh balls.) Keep checking the stores for unadvertised specials. You can score some amazing deals on Passover goods in the week or two immediately following Passover. That's it, fellow Cheapskates. Here's hoping you had a very happy, kosher, frugal Passover. Remember, next Passover is only a year away! Go to the Lipton Iced Tea Facebook page and like them. Click on the "Special Offer" tab and print out a buy-one-get-one-free coupon for a 20 oz. Lipton 100% Natural Iced Tea. 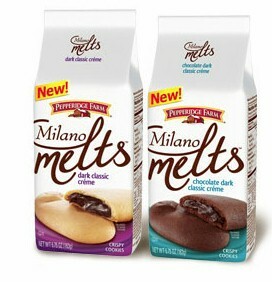 Print a coupon for $1/1 off Pepperidge Farm's new cookies, Milano Melts. Click here. Add this grill to your shopping cart. 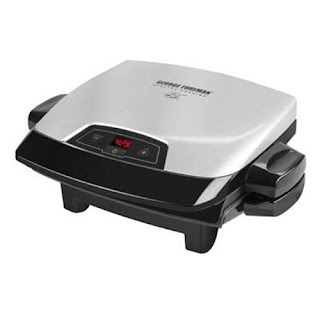 The grill is on sale for $39.99, down from $79.99. With your cash back, your grand total, shipped, is $38.60. Compare this deal to the identical item on Amazon which sells for $44.29 on Amazon.com (with no cash back). Print this certificate and bring it in to a participating Walmart Vision Center for a free 2 oz. 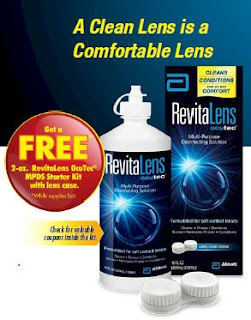 bottle of RevitaLens OcuTec MPDS cleanser Starter Kit (with coupons for future purchases inside) and a lens case. 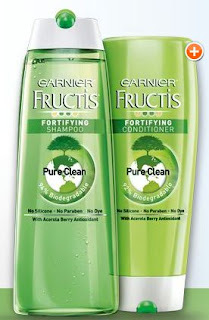 Click here to get your free sample of Garnier Fructis Pure Clean shampoo and Conditioner from Walmart. These samples go very quickly, so click now! 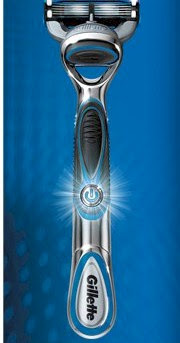 Get coupons for the Schick Hydro razor or shave gel. Go to the Schick Hydro Facebook page and like them. Then click on "Have a Blast" (on the left side). When that tab comes up, click on the arrow that says "Get coupons." 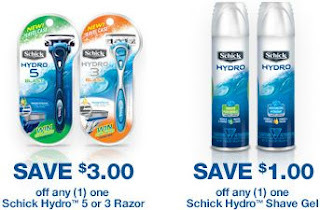 From there, you can print off a coupon for $3/1 off a Schick Hydro 5 or 3 razor and/or $1/1 Schick Hydro Shave Gel. Coupons print twice with your back button. Get free admission to your local public garden on May 6, from Better Homes and Gardens. Click here, fill out the form and submit it. You'll get a voucher for two free admissions to your local public garden. Print the voucher as many times as you need, i.e. for a party of six, make three copies of the voucher. I got free admission to the Denver Botanic Gardens normally $12.50 per person. While Friday is a tough day to take off, I'm definitely going to try to take a nice lunch hour (or two) walk around and will check out their Annual Plant Sale. Click here to fill out the form for the free admissions voucher. 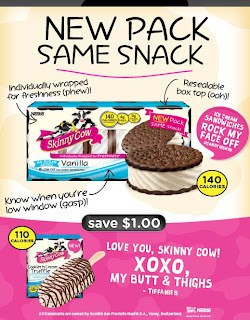 Like Skinny Cow on Facebook and get a $1/1 (bricks) coupon off any Skinny Cow ice cream. They make the best kosher diet-ice-cream-that-doesn't-taste-like-diet-ice-cream ever. Bath & Body Works seems to be running these promotions on a monthly basis (which suits me just fine! This is another reason my annual cosmetic and toiletries budget is next-to-nothing). B&BW has a new coupon for a free signature collection travel size item with any purchase.That's ANY purchase, including their $1.50 scented hand sanitizers (my favorite is apple). I'm going to go over there on Thursday so I can kill two birds with one stone...get my April LuvBBW Club freebie and then get this BOGO. Join Best Western Rewards (a free rewards program) by 6/5/11, set your earning preference to American Airlines AAdvantage miles, and new members will receive 250 AAdvantage miles just for signing up. If you actually use the Best Western Rewards program and stay at Best Westerns, make sure you register for the Jump Start to Summer promotion between 4/17/11 and 6/5/11. Then, when you stay at a Best Western after that, you will earn 500 AAdvantage bonus miles on your first stay, 750 AAdvantage bonus miles on your second stay, and 1,000 AAdvantage bonus miles for each stay thereafter. You can keep staying and keep earning; there is no limit on the number of AAdvantage bonus miles that can be earned during the Promotion Period of 4/17-6/5/11. Even if you never use the Best Western Rewards program, you can still snag 250 AAdavantage miles for just signing up. Click here to get started and sign up. If you are already a Best Western Rewards program member, you just need to sign up for this promotion to receive the 250 AAdvantage miles. While it's relatively easy to snag deals on Itune gift cards, I may never get one again. I recently started (legally) downloading free popular music using Freegal at my local Denver Public Library. Is Freegal available at your library? 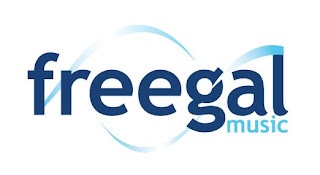 Freegal is a downloadable music service, like iTunes, available from public libraries all over the United States. All you need is your library card number and PIN to log in. Iit offers hundreds of thousands of songs in mp3 format, playable and storable on any PC, Mac, or mp3 player including Ipods, more than a hundred genres of music, and more than fifty record labels, including access to the Sony Music Entertainment catalog,. 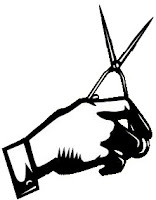 No special software is needed to use the service, and there are no digital rights management restrictions. That's right, the mp3 downloads are actually DRM free! There are limits, and it varies by library. Here in Denver, you can download up to three tracks per week (the new week starts Sunday night). Each song has a sample clip you can preview before you download. The library also has a weekly limit. If the library runs out of downloads for the week, you can queue up for your requested song on to a wishlist (Amazon-style). Just another reason that belonging and actively using your public library is an effortless money-saving no-brainer. Have you been using Freegal at your public library? Free tuna with Starkist's "Seafood Fridays"
Remember to head over to the Starkist Facebook page every Friday, for their weekly "Seafood Friday" promotion. Each Friday, you may print out two $0.50/1 coupon for a Starkist tuna pouch from their page. I've been stockpiling these coupons, as the Kroger chain store near me (it's King Soopers in Denver, where I live) has that pouch on sale for $1, every other month, and since King Sooper also double coupons that are less than a dollar, I've been getting dozens of free tuna pouches, which are the perfect size for my husband to take to work for lunch. 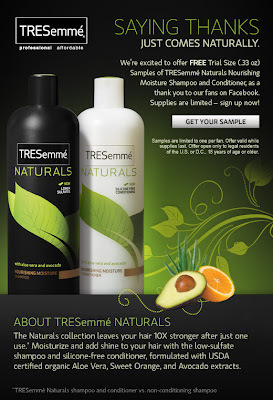 Tresemme is giving away free sample of their Naturals Nourishing Moisture shampoo and conditioner. Visit the Tresemme Facebook page, like them, and click on "Get Your Free Sample" to apply for yours. 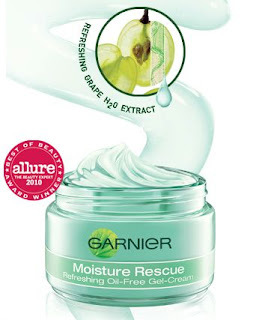 Get a free sample of Garnier Moisture Rescue Gel. Go to the Garnier Facebook page and like them. Then click on the link for the free sample. 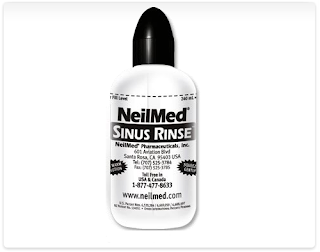 Go to the NeilMed Facebook page, like them, and fill out a form to request a free NeilMed sinus rinse bottle, along with two packets of Sinus Rinse. 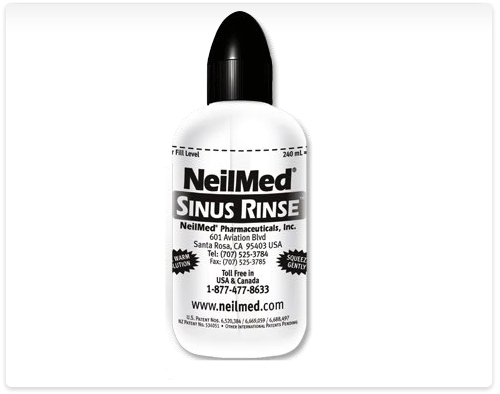 If you've requested any of the numerous Facebook freebies from NeilMed before, please note, they only allow one promotion per household. 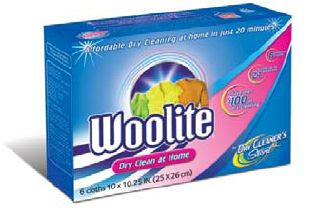 Get a free sample of Woolite's Dry Cleaner's Secret when you submit this form along with a receipt from a recent trip to the dry cleaners. Click here to download and print the form. Dry Cleaner's Secret is a somewhat pricey item, and each cloth generally retails for about $1.25, so this is actually a worthwhile sample to get. If it comes with a coupon, even better! Allow 6‐8 weeks for FREE sample to arrive. The offer is limited to one FREE sample per family household or address. Requests submitted from P.O. Boxes, clubs, groups or organizations will not be honored or acknowledged. Void where taxed, restricted or prohibited by law. Get a $10 bonus gift card when you purchase a $50 gift card at DSW or DSW.com between 4/21/11 and 5/8/11. Must be 18 years or older. Bonus card received in stores is redeemable in stores only (not online). Bonus card received online is redeemable either in stores or online. 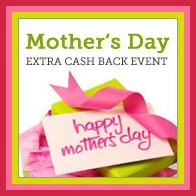 Bonus card is redeemable on a pretax purchase of $10 or more between 5/12/11 and 5/30/11. Bonus card may be used with up to 2 rewards certificates but may not be used with any percentage off offers. More details here. Regular readers of this blog know how much I love love love Cellfire and digital coupons. Cellfire is having another special promotion, but this time for ShopRite loyalty card holders only, so East Coasters, pay special attention. Here's an incentive to joining Cellfire if you haven't already. Today, until 2:00pm CST, if you have a ShopRite Price Plus card (their shopper loyalty program), you can score either a $0.55, $1.75, or $5.00-off-any-purchase-coupon, just for logging in to (or joining) Cellfire! Click here to either create a new account or log in to your existing Cellfire account. Once you're logged in and have added your Price Plus card number, you can add the coupon to your account. The coupon will apply toward your next purchase at ShopRite. 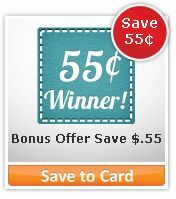 Good luck, and let us know if you score the $5.00 coupon! There are tons of new coupons on Coupons.com today, but one of my personal favorites is back up: the $1/1 on Reach dental floss (click on Personal Care on the left side to find the coupon quickly). 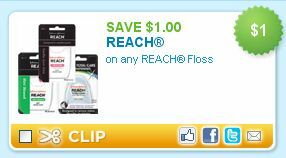 Reach dental floss routinely sells at Target for $0.99, making this product free with coupon. Print out two of these coupons using your back button. Honestly, because of this coupon, I haven't paid a cent for a package of dental floss for the last two years. 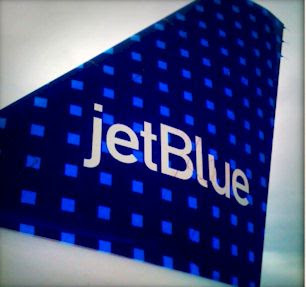 Today only: get 20% off your JetBlue flight for travel between 9/7/11 and 10/29/11, with promo code FALL2011 (case sensitive). Make sure you go through JetBlue.com/promo to be able to use the promo code. If you were planning on traveling for the High Holidays, this is a great deal for you (fyi, Rosh HaShana falls out on the eve of 9/28/11). Offer ends 4/21/2011, 11:59 p.m. EDT. Discount Codes are case-sensitive; redeem at jetblue.com/promo; valid for 20% off roundtrip base fare for travel from any JetBlue city to any JetBlue city 9/7 – 10/29/2011. Blackout dates: 10/7 – 10/10/11. Travel must originate in the U.S. Discount deducted off base fare. If travel is changed or canceled outside travel window, discount is forfeited and Customer is responsible for fare difference plus $100 change/cancel fee per person. Cancellations are for a JetBlue travel credit only, valid for one year. If reservation is not changed/canceled prior to scheduled departure, all money associated with reservation is forfeited. Discount only for newly-booked travel; not applicable to existing travel or changes to travel; not redeemable for cash; not transferable. Discount may not be combined with other offers or towards purchase of JetBlue Gift Cards, Getaways Vacation or Cruise packages. Proper documentation required for boarding. Other restrictions apply, see jetblue.com/about/legal/legal.asp.